The one where we find out Tracey has a dog that shops for pajamas. 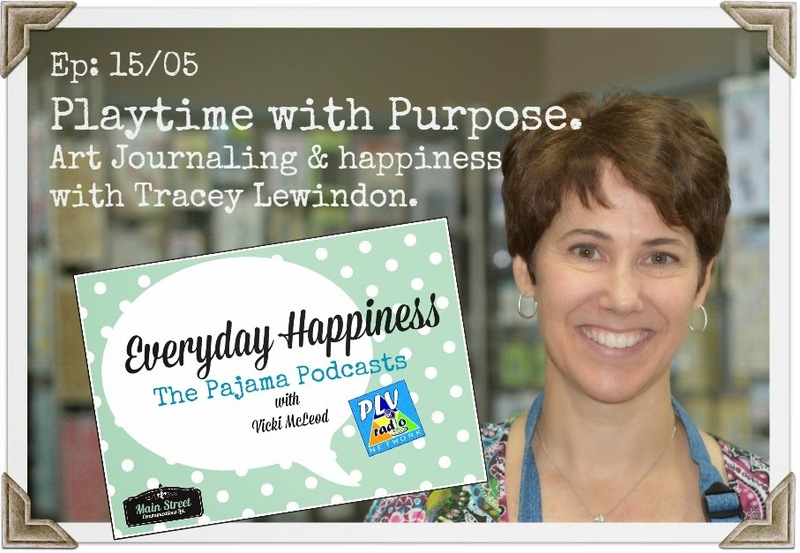 In this week’s Everyday Happiness podcast, we sit down to virtual tea with Tracey Lewindon, of Nature’s Heart, who introduces us to the ins and outs of art journalling, a powerful multi-media process for self-discovery and personal healing. She teaches us why waiting for paint to dry is one of the keys to building character and finding happiness. We learn that there is plenty of room for artsy processes and creativity in business planning and why. This is playtime with purpose, and we get full permission to fool around, not know where we’re going and accidentally encounter meaning along the way. How is art journalling like life? Exactly. And, yes, she paints in her pajamas, so we had to make her a member of the tribe. She know’s the secret handshake now. P. S. Humble apologies to William Shakespeare for neglecting to attribute our closing quote to him. Sorry, Bill. Wouldst that I had but not overlooked so obvious a proposition. Find this week’s episode here. A special thank you to Greg Stuart of Grene Genes Productions for tech support. The beautiful theme music is ‘Before and Again’ composed and recorded by GJR Stuart at Grene Genes Productions, Maple Ridge BC. What are Vision Boards, anyway? What is your creative outlet? how does it give your life meaning? (Seriously, let’s not waste our time on small talk).